PRESENTATION: Disclosure from a Legal Perspective: Plausible Deniability or a Bigger Political Picture? 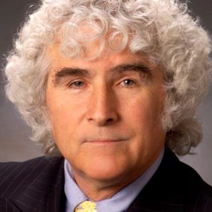 Daniel Sheehan is a Harvard College, Harvard Law School and Harvard Divinity School–trained Constitutional Litigation and Appellate Attorney. For close to five decades, Dan’s work as an Federal Civil Rights Attorney, Author, Public Speaker and College and Law School Educator has helped expose the structural sources of injustice in our country and around the world. He has protected the fundamental and inalienable rights of our world’s citizens and has elucidated a compelling and inspiring vision for the future direction of our human family. Dan’s dedication to this vision and his work have placed him at the center of many of the most important legal cases and social movements of our generation. Daniel Peter Sheehan was born on the 9th of April, 1945 in Glen Falls, New York, just 3 days before the sudden death of Franklin D. Roosevelt, making Dan one of the youngest persons whom you will ever meet who was alive during the presidency of Franklin Roosevelt and “The New Deal”. As such, he is a member of the “Senior Class” of The Baby Boomer Generation. He grew up in the tiny Up-State New York Adirondack Mountain community of Warrensburg, immediately between Lake Champlain and Lake George at the southern edge of the Adirondack forest, on the southern border of the independent Six Indian Nation Iroquois Confederacy. He was born at the very dawn of “The Atomic Age”, just 100 days before the detonation of the first atomic bomb at The Trinity Test Site in the Jornado del Muerto Valley in New Mexico (the Valley on The Journey to Death). Dan attended Catholic Mass every Sunday from the time he was 12 years old, which he continues to do to this day. During his teenage years he developed a strong sense of justice and an inclusive view of humanity. These values motivated him in both his studies and his other pursuits. In 1977, Dan was contacted by leaders of the National Organization for Women (NOW). Their leader was Sara Nelson, NOW’s National Labor Secretary under Eleanor Smeal, who was the leader of a broad coalition of progressive groups seeking to bring attention to the death of Karen Silkwood. A chemical technician and union activist, Karen Silkwood was killed when her car was rammed and forced off a public highway in northern Oklahoma while on her way to deliver top secret files from the Kerr-McGee Nuclear Facility, where she worked, New York Times reporter David Burnham. Silkwood had informed David Burnham that she would deliver to him documented proof of “irregularities and safety violations” at the plutonium fuel rod-producing plant where she worked. Davis, Sheehan and Nelson formed an immediate bond. In concert with their allies, they filed a lawsuit on behalf of Silkwood’s children. They organized a massive public education and organizing campaign to put a spotlight on the case. They won a record-setting $10.5 million judgment and established a new legal precedent in liability law that effectively ended construction of all new nuclear power plants in the United States by declaring unconstitutional the “cap” that had been imposed, by an industry-submissive Congress, on the maximum amount of private legal damages that could lawfully be imposed upon a private nuclear facility by a civil jury. Dan’s work for – and then later, with – Dr. John Mack was not the first time Dan had come into contact with the issue of the potential of Extra-Terrestrial Intelligence. In 1977, Dan served as a “Special Counsel” to the United States Library of Congress’ investigation into the existence of extraterrestrial intelligence that had been expressly requested by then President Jimmy Carter. Following this work Dan was invited to present a Three-hour, closed-door seminar on the Theological Implications of Our Contact With Extra-Terrestrial Intelligence to top 50 scientists assigned to The SETI Project (the Search for Extraterrestrial Intelligence) at NASA’s Jet Propulsion Laboratory. Given these experiences, Dan was in a unique position to handle legal issues surrounding the extraterrestrial intelligence debate. In 2001, Dan was invited to serve as General Counsel to The Disclosure Project, which coordinated the sworn testimony—before staff members of the United States Congress—by former U.S. Military Officers, Federal Aviation Administration officials, and NASA employees attesting to their own direct personal knowledge of Government information confirming the UFO phenomenon and the belief on the part of important agencies of our government in the existence of extraterrestrial intelligence. Dan also served as General Counsel to the Institute for Cooperation in Space, a U.S. citizens group dedicated to banning space-based weapons and the development of any weapons intended for offensive use against potential extraterrestrial civilizations. Dan has, since that time, been invited, on numerous occasions, a speak on The Philosophical and Theological Implications of the Human Discovery of Extra-Terrestrial Intelligence at the International UFO Congress and at The Mutual UFO Network’s Annual Symposium. Daniel Sheehan currently lives in Santa Cruz, California with Sara and their two sons, Danny-Paul and Daegan and teaches at the University of California at Santa Cruz. Dan is the author of The People’s Advocate for Counterpoint Press of Berkeley, California.